How Can These Gorgeous Crumpled Faucets Possibly Work? They certainly catch your eye, but Italian designer Lorenzo Damiani's unique folded faucets will also have you wondering how they let more than just a trickle of water pass through. Wormholes? Good old-fashioned wizardry? We've no idea. As kids we all learned that kinking a hose was the easiest way to foil a spray attack, but that's exactly why this design is counter-intuitive. It looks cool, but are you sacrificing functionality so your guests leave the bathroom scratching their heads? 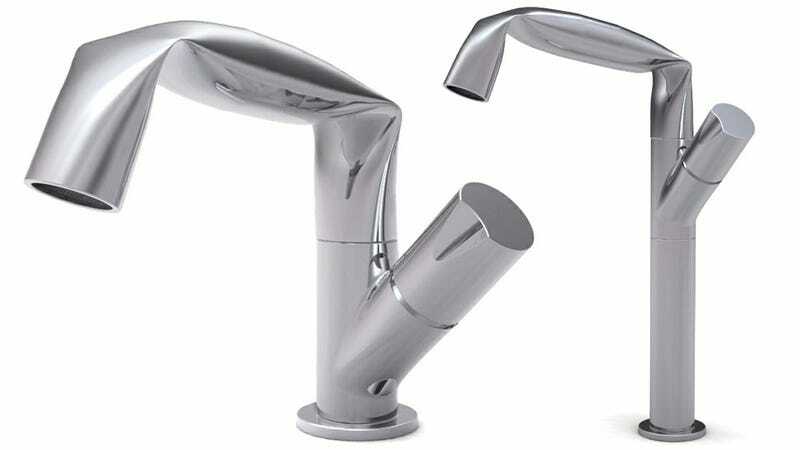 And to top it off, if and when the Fold faucets are available, like any designer item, you'll probably pay a small fortune for what literally looks like damaged goods.